We are to offer beautifully designed Ceramic Incense Holder to the valued clients across the country. 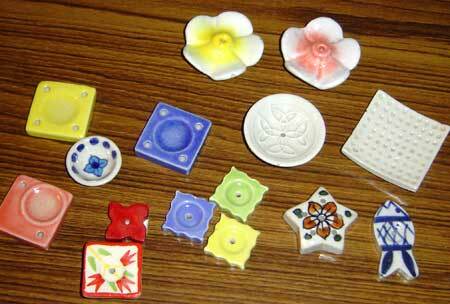 The Ceramic Incense Holders range is made using Semi Automatic Machines. The Ceramic Incense Holders are extensively used in temples and house for worshipping purpose. The Ceramic Incense Holders are offered in Wooden Gift boxes packaging and also inside Incense Packets.